I am constantly amazed at the family connections to be made when undertaking family history research on the Internet. Not only has this blog enabled me to learn things from cousins I know, but it has also unearthed cousins I did not know about. All are so helpful and willing to share what they know. And they tell us about cousins of long ago, who now become part of our own age through the Web. Take this beautiful wedding photo of Frederick Julius Theodore Brunk (1862-1943) and his new wife, Barbara Stoltz (1870-1924), taken on their wedding day about 1894 in Saint Paul. Barbara’s Father, Anton (1839-1876) was the brother of my great-great-grandfather Peter Stoltz (1836-1921). Today I received this photo via email, along with other details of Barbara’s life, from a previously unknown cousin, Eugene Brunk, who saw this blog and was moved to share this photo. For many years they lived in Maries County, MO where Fred was a builder of some local renown, while Barbara was a schoolteacher at Meta, MO. I was told that Barbara died in 1923 while driving a horse and buggy to school. She tried to cross a creek that was in flood stage, her buggy overturned, and she drowned. Fred lived until 1943, but never remarried. What did we do before the Internet? I am in awe of what genealogists of previous generations were able to accomplish with paper, stamps and determination, but I am equally in awe of the possibilities open to all of us to reconstruct our family histories. And thank you, Cousin Eugene! My gr-grandfather was born in Niederlauterbach, Bas-Rhin in 1841, had a barber shop and sold hair nets, combs, etc in Lauterbourg. His name was Anton Schweitzer and he emmigrated to the US in 1882 when my grandmother was 2 years old. My cousins had Antons’ discharge paper from the French Navy and they really didn’t know what it was. He had served in “Cochinchina”, now Vietnam, on the ship Albatros and other vessels. The document listed his parents as Francois Joseph Schweitzer and Rosina Stoltz. However, on a French geneological website I found the scanned marriage record of Francois from 1839 and it lists the brides name as Rosine Hoffarth. I also found the 1841 birth record of Anton and it lists Rosine Hoffarth as his mother. I did a Google search for “Stoltz” and came across your excellent website. Have you found a “Rosine Stoltz” in any of your searches? I have not been able to find any marriage records of her to my gr-gr-grandfather, Francois Joseph Schweitzer or any death records either, at least on the French website dealing with Bas-Rhin that I have been using. I wonder if Anton Schweitzer listed Rosina Stoltz as his mother on his French Naval discharge because that was a second wife of his fathers, and not his birth mother. I can’t imagine why he would list Rosine Stoltz as his mother otherwise. In any case, it has been interesting researching this side of my family and trying to figure out the handwriting in French and then in German after 1871. If you remember seeing the name “Rosine Stoltz” anywhere I would appreciate any info you may have. I came across your web site today in a really round-about way, let me tell you about it. My brother recently told me that a portrait of our father was purchased on eBay by his son, my nephew. I started out to search eBay for closed auctions to see where this picture came from, but was of course not successful. I then decided to google my father’s name, Julius J. Brunk. I knew I could go back later to the first couple of pages of the links that popped up, so I just kept trolling. And there on about page four was a link to your site for Julius Brunk. After reading this page, looking at the picture, and pulling out a copy of some research that another nephew had recently done and given to his mom, my sister (she copied me), I think that your Frederick Julius Theodore Brunk is my grandfather’s oldest brother. My father, Julius Joseph Brunk, was the third child of Lambert A. Brunk, who’s father was Julius Theodore Brunk. 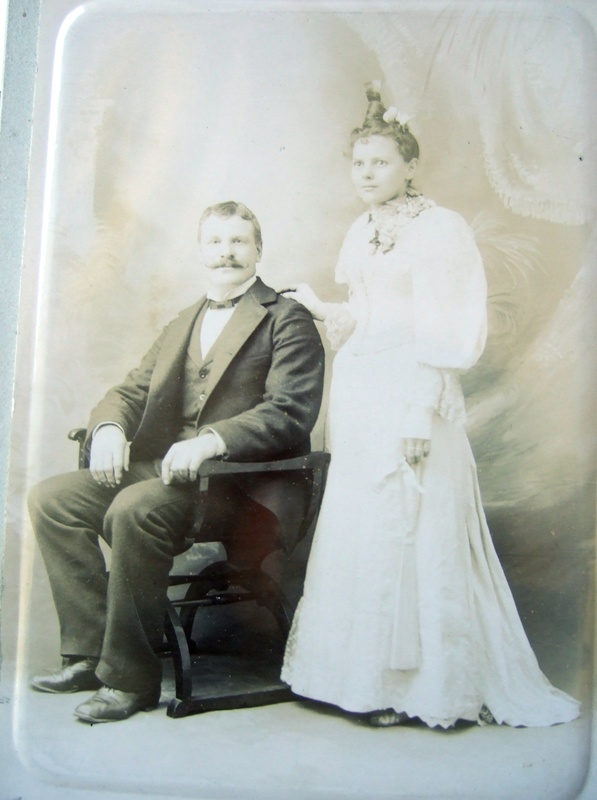 Julius T. was married 1 March 1861 in Minnesota, to Katherine Naegele, and I understand they had about a dozen children, of which I think my grampa was the baby, born in 1884. My papa was always telling me about all his many aunts and uncles; I think there was even a spinster set of twins. The timing would be about right, as Theodore in your article above was born in 1862, when they had been married for a year. Do you know if he was a redhead, as Lambert his brother was and as my papa Julius “Red” Brunk was? Just an interesting side note I guess. Julius T was born in Germany in 1827, and his father was Frederick T von Brunk, born about 1795 in Germany. Family gossip was that when the von Brunk’s emigrated to America, the pencil-pusher’s at Ellis Island made them drop the “von” as being an aristocratic leftover that we didn’t need in the USA. Rumor has it that it was actually awarded to our ancient Prussian forebears for being great gardeners for an Emperor or two! No aristocrats here! I can see, after writing all this out, where the Frederick and the Theodore became associated with the Julius in the Brunk family names. I have census records from the late 1800’s showing the family in Minnesota, and moving to Missouri later. My father was born in late July in 1920 in St. Louis. I will be sure to save this link to your page as I want to show this to my siblings. Thanks for the trip down memory lane. I just googled Brunk family history and found your site and the lovely picture of Frederick Juliuz Theodore “Fritz” and Barbara Stoltz Brunk. He was the son of Julius T Brunk and Katherine Naegele. My husband is a descendant of Julius and Katherine’s son, Edward. Julius and Katherine had at least 16 children -not all surviving – of those that did – the 7 sons were all brick masons at one point and 3 daughters. If you have further information or if Eugene or Gloria von Brunk in the comment above could contact me at my website, I can provide more Brunk detail. I would appreciate getting in contact with more of the Brunk descendants. if you need help to find ancestors from Niederlauterbach, you can contact me.